Whether you are jotting down your Christmas list or creating a holiday greeting or invitation, our Falling Holly stationery is the right choice. 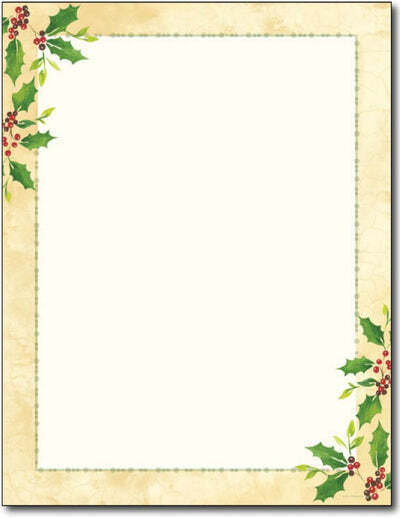 Christmas themed letterhead is made from a 60 Lb Text stock and measures 8.5 X 11. This falling holly stationery is Inkjet & Laser printer compatible. This Christmas letterhead comes in 80 Sheets.